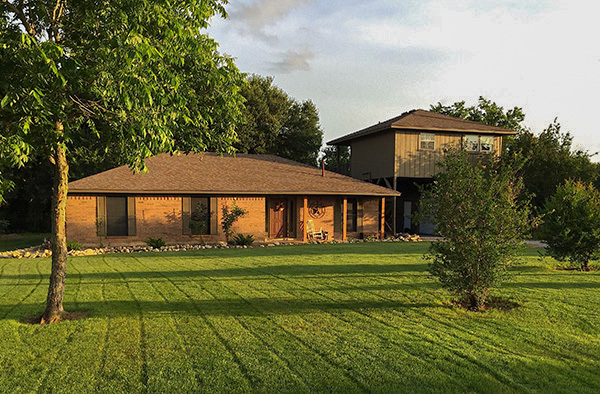 You will be relaxing on a remote and pristine stretch of the San Marcos River; there is no commercial inner tubing or public river access; this property is peaceful, safe, and serene year round. The owners, John and Cynthia, live adjacent to the property and established the vacation rental so that others could also enjoy the clean clear water, the lush vegetation, the ancient cypress and pecan trees, and marvel at the songs of countless varieties of birds. When you stay with us, your safety and comfort is our primary focus. We strive to provide the very best environment for you to have fun, to be secure, and relax. When you take the time to research and book a vacation rental, you want everything to be taken care of and working perfectly. We maintain the property “like an aircraft” and stay on top of all the systems and supplies so that you will enjoy a stress free vacation. Rest assured, we are always close by to assist if there are any questions or if you need advice about local events, restaurants, local outfitters, etc. Help is just a text or phone call away.